Small business lending marketplace Kabbage appointed a new CTO and chief data officer last week. The Atlanta-based company that uses technology and data to underwrite loans hired Amala Duggirala as the new CTO. Duggirala is a two decade industry veteran and prior to this, was the executive vice president of global software development and implementations services at ACI Worldwide. There, she was responsible for developing end-to-end payment technology between consumers and retailers and accountable for the architecture, development and delivery of nearly 30 payments products. At Kabbage, she will lead the automation of the Kabbage platform and developing new products for growth. The company also appointed the former head of analytics and insights at eBay, Rama Rao as the chief data officer. Rao also brings 20 years of experience in analytics, risk and payments. Rao holds a Ph.D. from MIT and built the risk analytics team at PayPal to manage its global risk policies. At Kabbage, he will lead the strategy for data, decision science, analytics and risk. 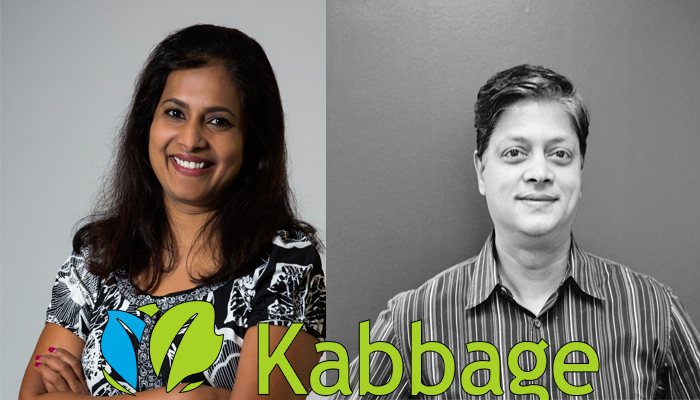 “We’re thrilled to have Amala and Rama join Kabbage to help us achieve our mission of sitting at the center of small business existence, both directly and through our partnerships globally,” said Rob Frohwein, co-founder and CEO of Kabbage.